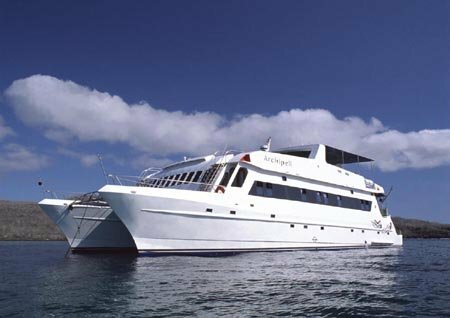 The Archipel II is a luxury catamaran offering some of the finest sailing at the Galapagos Islands. It has been popular amongst our clients for it´s excellant itinerary and modern style. Contact us to book a Galapagos tour. 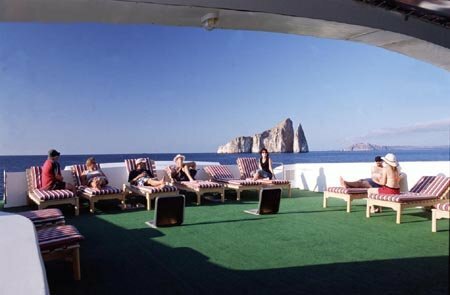 * Prices may increase if boat operators put prices up for certain popular dates (especially July / August) or other agencies sell their charter spaces to us at higher prices. * All boat information is correct at time of publishing but subject to change by the boat owner or National Park authority.